Sure, playtime is about toys. But it’s about teaching too. From learning to walk with a favorite toy wagon to the ABCs and 123s on their first building blocks, play is a big part of how preschoolers learn and grow. 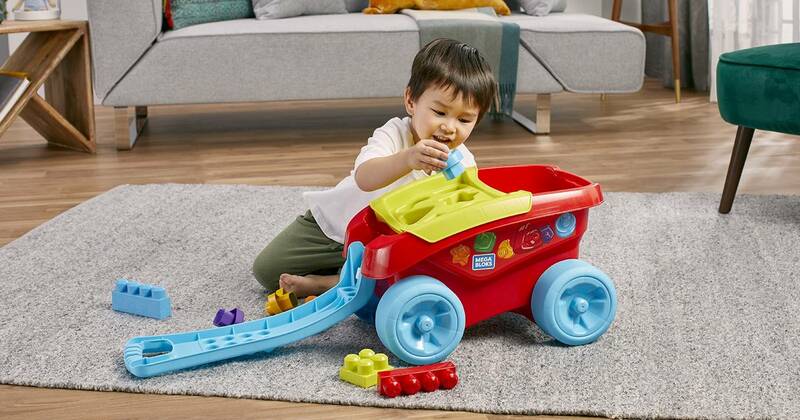 Now, we’re rolling out a playful new way for toddlers to learn shapes with the Shape Sorting Wagon. Parents of toddlers know how quickly they can switch gears. One second they’re running up and down the hall. The next, they’re focused on building a tower, or zoned in on a fascinating new shape or color. 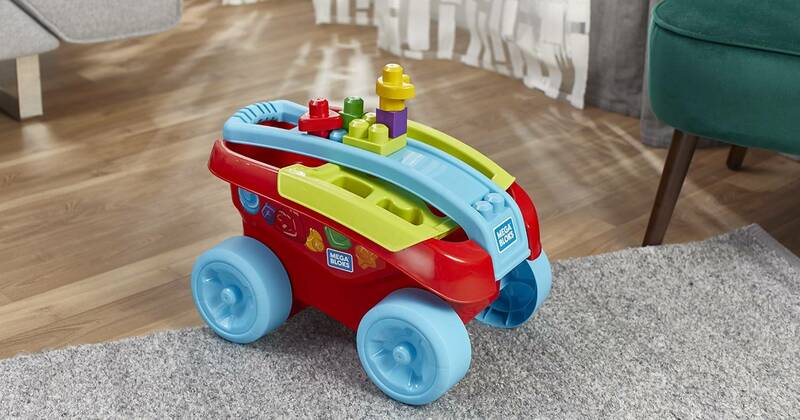 That’s why the Shape Sorting Wagon is designed to go from classic wagon to shape sorter to construction set in a flash. With big, sturdy wheels and an easy-to-grip handle, the wagon is made just for little hands and legs that are still learning to walk and run. But it’s also built for the bright curiosity of your toddler’s first years. With 6 specially-shaped blocks, preschoolers can learn basic shapes like a square, circle, triangle, and more when they fit each shape through the matching hole on the removable shape sorter to send it clunking into the bin! But there’s also a wagon-load of classic First Builders building blocks that your child can use to load into the bin, dump out, and of course stack together to build whatever they imagine. They can even build right onto the wagon to take their creations with them! It’s just another way to celebrate the discoveries your little one makes each time they play.